However, that suits Kaepernick. The 49ers quarterback is exceptional in the rushing game and he will provide the perfect complement to Peterson out of the back field. In play action, Kaepernick is lethal and his presence will force opposing defenders to re-consider when trying to read the play and get half a yard on the advancing Peterson – if truth be told, the QB and the Vikings are actually a very good fit. As of September 1st, the Minnesota Vikings are 33/1 to win the Super Bowl in NFL betting markets available at bet365’s website and punters will feel much more confident if they manage to acquire Kaepernick in the coming weeks. 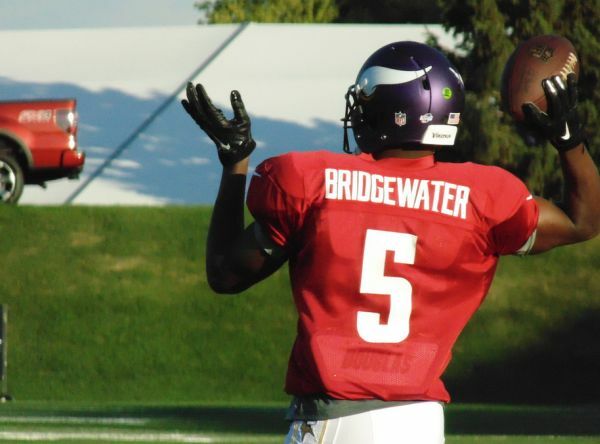 Zimmer will believe that his team stand a decent chance of competing for the NFC North crown again this season but it would be foolish to play down Bridgewater’s injury. Without a shadow of a doubt, the Vikings will struggle to adjust without him. Colin Kaepernick won’t necessarily lead Minnesota to the Super Bowl but he will give them a much better chance of competing with their NFC rivals for a playoff spot this season. The 49ers quarterback has a number of issues but the Vikings may be wise to ignore a few of those problems if they can agree a deal for the upcoming campaign. Minnesota fans will certainly be watching intently as the season approaches.